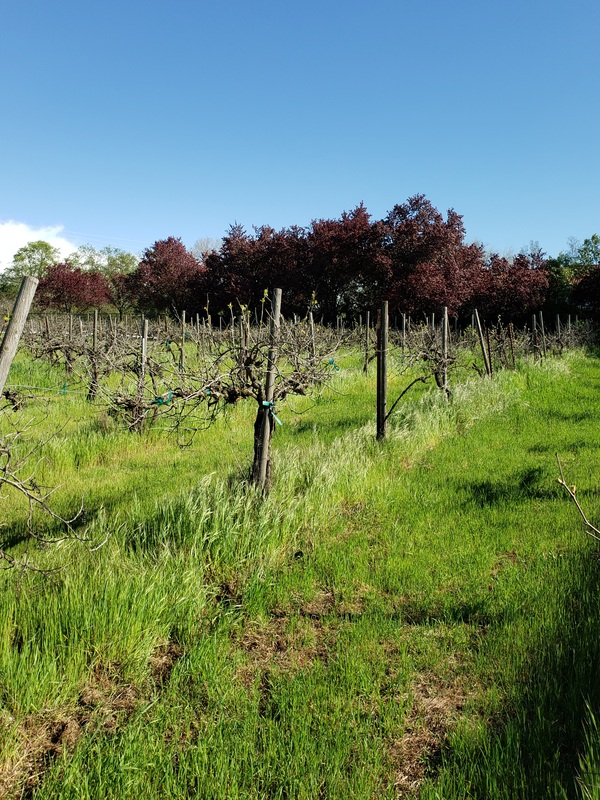 Round Table Red Wine Evaluation: Join your fellow home winemakers on Wednesday, April 17, 2019 at 7 pm for our Monthly Program upstairs at the Turn Verein located at 3349 J Street in Sacramento. There is additional parking in the back. Bring 2 wine glasses for your use at the meeting. Your help in setting up and cleaning up at meetings is appreciated. Contact Vice President Terry Piazza-Perham if you have program questions: piazza-perham@att.net or 916 806-1621. Fermenters 6ea. 32 Gallon $25 ea. Electric or Hand Crusher and Stand $350. 5 Gal. Glass Carboys &Air Locks $25ea. SHW members Paul and Nancy Baldwin have Wine Grapes for sale again this year. State Fair and Jubilee prize winning double gold, and Best of show white at El Dorado Co fair. whites: Sauvginon blanc, Chinen blanc, and Semillon ; reds: Cabernet Sauvginon, Zinfandel, Barbera, and Merlot $.55/lb. You Pick. Free use of picking boxes, clippers, press and crusher/destemmer with our help. 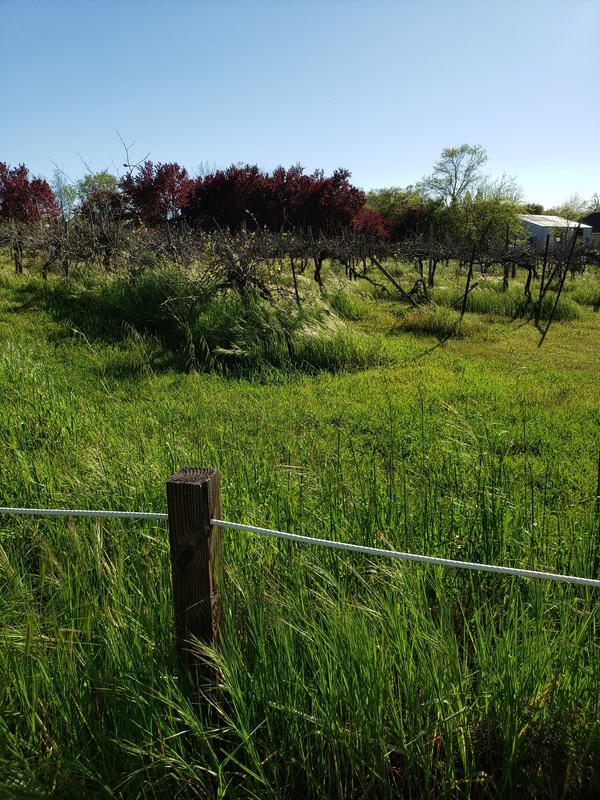 Our vineyard is located in southern Sacramento County. We enjoy a Delta environment of warm days and cool, breezy nights as part of the Clarksburg appellation. We hedge the vines, pull leaves and use bird netting and bird scare devices to ensure quality and control diseases. We have an adviser driven spray program for mildew and insects. The Jubilee Ribbons and Judging sheets will be at the next General Meeting THIS Wednesday 7/18/18. Please pick them up there. Also buy stickers for silver, gold and bronze awards to put on your bottles when you pass them out to friends and family!? If you volunteered to work at the State Fair SHW Booth, please come and pick up your parking tickets, and entrance tickets into the State Fair at the meeting!! Bring your cash or checkbook to purchase a 2018 SHW “CRUSH” T shirt at the meeting too!! Do You Want to Learn How to Make Fruit Wine?? Well then this is your class! Taught by Judy Pinegar (a 30+ year member of the club) and Angie Cassidy, an experienced fruit wine maker under Judy’s tutelage. TIME : 10:00 am to 2:30 pm, or so! 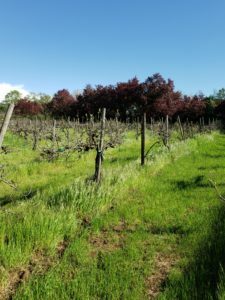 PLAN: 1.5 hours of classroom style presentations and handouts, Lunch with fruit wine!, 1.5 hours of hands on experience with fruit or vegetable wines in various stages, starting, preparing, racking, and bottling some fruit wine, go home with a bottle and Taste Everything You Can! Tested recipes for fruit wines will be provided to take home!! REGISTER : By sending an e-mail to judypinegar@gmail.com. If this class fills up fast, more will be offered (don’t worry)!